Many things has been said about affiliate program and its growth in the current market. As we all know, every day, it is more common to buy products and services on the Internet. Purchases that formerly could only occur in stores with vendor information, today can be made even more comfortably in the online world. That’s why it’s almost imperative that companies have its affiliates, who promote their brand and disclose its value. Thus, each of them can compete with the huge amount of offers present in the market. 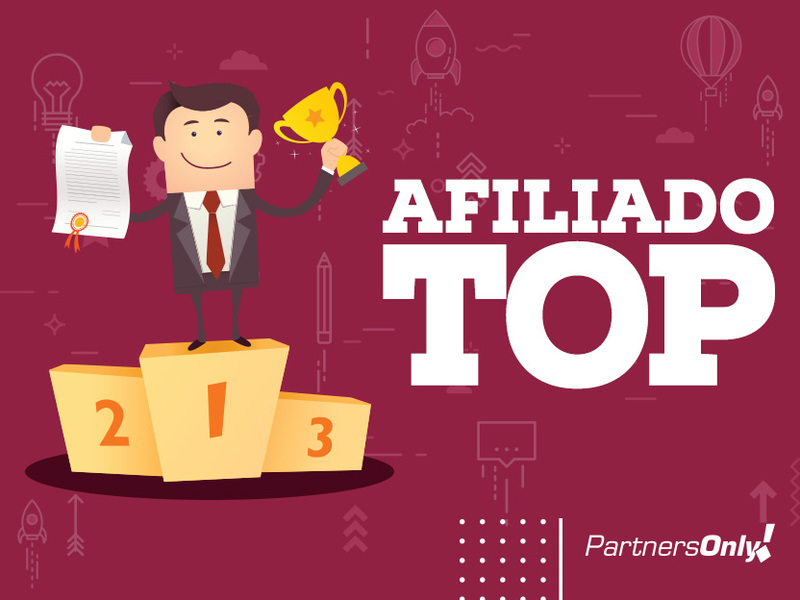 Having an affiliate program can actually be advantageous for brands to grow and maybe you might be thinking about increasing your income, or even venturing into a new work area, and want to be affiliated with some brand. But let me ask you, how do you know if this is a good alternative for you? How to know if the affiliate system is good? 1. Be the owner of your own time! Make your own schedule without predetermined hours by someone other than you. However, you cannot forget that it does not mean working less. It will be very important for you to learn how to prepare your schedules to work on your most productive hours. Therefore, this requires you to be a disciplined person. Ideally, you stipulate how many hours of work you will invest per day at the times you produce the best, and if you find it necessary, set aside space in your home and make it your place of work. Which, of course, can cause you to have fewer distractions, increasing concentration time and therefore production. 2. Getting started is free! Start with a low investment, the vast majority of registrations in affiliate programs are free, which undoubtedly is an advantage. That’s not all; you can start by investing little in brand promotion, so that you can analyze which methods and strategies work best, and thus expand your business gradually. 3. Forget about logistics! You will not have to travel to the office; you will not have to suffer traffic jams that make you lose time. In addition, if you choose to work with the sale of physical products, delivery of these products will never be your responsibility. 4. Receive your commissions in a practical way! If one of your concerns is to pay commissions, you can forget that, because affiliate programs feature very simple and practical methods. All you have to do is have a bank account or an e-wallet to access the right amount of your winnings. 5. Access to management tools! Affiliate programs seek to have an easy-to-use system and many even offer training for their users and account managers. In addition, on the platforms, you have all the information you need to control players, winnings, commissions to receive, and important information for outlining strategies. 6. Be your own boss! This is one of the most benefits, but also a huge challenge to an affiliate. Being your own boss means not taking orders from anyone, which implies a certain effort to think strategically, analyze results, choose options and take care of everything that relates to your work. It is important that you use all your creativity, taking advantage of this freedom, to do all the best possible using the maximum of your possibilities. 7. Focus on the profession of the future! Work as affiliate in one of the fastest growing segments. You will be dedicating your strengths to a market that doesn’t stop growing. Which means that it’s an investment with good returns if you were dedicated. 8. Sell and commissions without creating your own product! One of the most interesting things about these programs is that you do not have to participate in the extensive and complex process of designing and creating a product. You simply have to offer your customers the products, both physical and virtual, that best fit your sales tools. 9. Don’t feel the pressure of exclusivity! As an affiliate, you can sell multiple types of products, all at the same time, without feeling the pressure of working for just one brand. Unless you have made a special agreement, affiliate programs don’t restrict the amount of products you promote, making possible to work with many types of clients. However and there is one important detail, don’t exaggerate in diversity. You need to understand your audience and direct the content produced. That’s why your website, Facebook page or YouTube channel, among others, needs to have personality. Therefore, a good option, to devote properly to this, is to choose all products that can please your specific audience. That is, the greater quantity of different products offered, the greater the possibility of some of them not matching with the chosen people. 10. Complement your income! Dedicate yourself to working exclusively as an affiliate, or also use this system as a method to obtain a supplemental income. If you have other work that leaves you some free time and a willingness to do something else, you can think of some alternative to completing your monthly income. Being an affiliate is an excellent option for this, since, as we mentioned earlier, you can work at any time you want, with the quantity of products you want and investing the money and the time that is best for you. That’s enough reason for a positive professional change, isn’t it? So, let’s go back to the first question: is affiliate good? No, it’s not good, it’s great! What are you waiting for to start working from your home, having fun with it, and still make money? Everything you need to know about the affiliate profession is here. Don’t miss the contents of our posts, they will be very useful for you! Copyright © 2016 Partners Only. All Rights Reserved.